SingPost reported 3QFY19 core net earnings of S$32.9m (-7.5% y-o-y). Earnings were below expectations, with 9MFY19 earnings at 76%/82% of UOBKH/consensus estimates. Improvements from Postal and Logistics continue to be offset by the e- Commerce business. Losses will persist for the US e-Commerce business, which is now at risk of another round of impairment. Until that is dealt with, we see no potential upside. Maintain HOLD with unchanged target price of S$1.04. 3QFY19 core net profit of S$32.9m, below expectations. SINGAPORE POST LIMITED (SGX:S08, SingPost) reported 3QFY19 underlying net profit of S$32.9m (-7.5% y-o-y). Results are below expectations, with 9MFY19 earnings of S$85.7m (-5.8% y-o-y) coming in at 76% and 82% of our and consensus’ estimates respectively. 9M results typically form ~85% of full-year earnings. Despite continued earnings improvements from the Postal, Logistics and Property segments, these were offset by higher losses from the e-Commerce segment. Excluding e-Commerce and Property, operating margin rose. Headline operating margin came in at 9.6% (-2ppt y-o-y), dragged down by higher losses from e-Commerce. Excluding the contributions from e-Commerce and Property, SingPost reported operating margin of 14.2% (+0.6ppt y-o-y) for 3QFY19 on improvements in Postal (22.3%, +0.2ppt y-o-y) and Logistics (1.3%, +0.5ppt y-o-y). SingPost remarked that they will continue to focus on avenues to improve margins. Postal posts operating profit of S$47.6m. Revenue was higher at S$213.2m (+9% y-o-y), driven by International mail (+16.3% y-o-y) as a result of higher cross border volume from Alibaba for the Double Eleven event in Nov 18. Domestic mail was flat (+1.6% y-o-y), as lower domestic mail was offset by e-Commerce volumes. Operating margin improved marginally to 22.3% (+0.2ppt y-o-y). Logistics operating profit rises to S$1.8m. Revenue was marginally higher at S$134.0m (+3.6% y-o-y), driven by Famous Holdings (+9% y-o-y) but partially offset by lower revenue from Quantium Solutions [QS] (-2% y-o-y) from the exit of some unprofitable customers. Operating profit was higher at S$1.8m (+67% y-o-y) as operating margin rose to 1.3% (+0.5ppt y-o-y) owing to lower losses at QS. E-Commerce remains a drag, warns of continued losses and impairments. The e-Commerce unit reported a higher operating loss of S$13.4m on both a comparable and sequential basis. (3QFY18: -S$4.5m, 2QFY19: -S$11.2m). A silver lining was that the operating margin compressed to -16.2% (2QFY19: -20.7%). Losses were attributed to increase in US labour and freight costs due to the seasonally busy period. SingPost expects the US business to remain loss-making for FY19. A review of the business is underway, and management remarked that “all options were on the table”. Also flagged was the risk of impairment to the carrying value of the US business, which is estimated to be S$90m-100m. Share price already pricing in risks for the e-Commerce unit. As we had earlier highlighted, the magnitude of losses from the e-Commerce unit suggested its value to be close to zero value based on a regression of e-Commerce peers. At a carrying value of S$90m-100m, further impairments will likely see this value fall further. Our earlier valuation of S$133m for the business, pegged to 2019F P/S multiple of 0.5x now looks overly generous. Conservatively, zero value should be ascribed to the business, and if excluded from our SOTP, translates to a fair value of S$1.00. Market appears to be ascribing zero value for this business, given that the S$0.965 share price is close to the implied S$1.00 valuation. Postal and Logistics improvements already priced in. 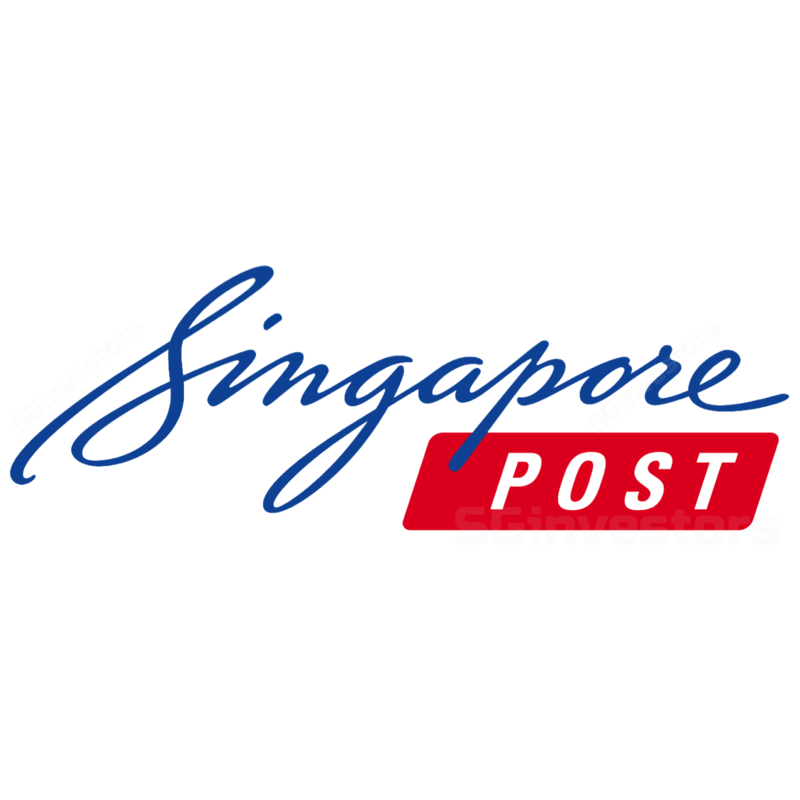 SingPost's share price is unlikely to re-rate on the incremental improvements from the Postal and Logistics until the problematic US e-Commerce business unit is dealt with. At current levels, the improvements in both business units appear to be fairly priced. We cut our FY19-21 net profit estimates further by 2-8% as we tweak revenue growth assumptions for the various business units. Our adjusted net profit figures include the impact after perpetual securities and are S$90m (-8%), S$103m (-2%) and S$110m (-2%) for FY19-21 respectively. Excluded, the corresponding figures are S$105m, S$118m and S$125m respectively. Earnings improvements in FY20 are largely due to absence of losses from 4PX following the stake dilution. Sector multiples have changed over the period and we have adjusted our valuation multiples to reflect that. The Postal business is now pegged to 13.8x 2019F PE (prev: 15x), 7.9x EV/EBITDA for Logistics (prev: 8.5x). The e-Commerce unit continues to be valued at 0.5x P/S, although this appears generous. Our SOTP-based target price rises slightly by 2%, but we opt to maintain our target price at S$1.04. Negatives appear to be priced in, and we maintain our HOLD call. Entry price is S$0.90, reflecting a 3.9% dividend yield.